I bet the From Software offices are real cheery places. Ladies and Gentlemen, the hour of darkness is nearly upon us. 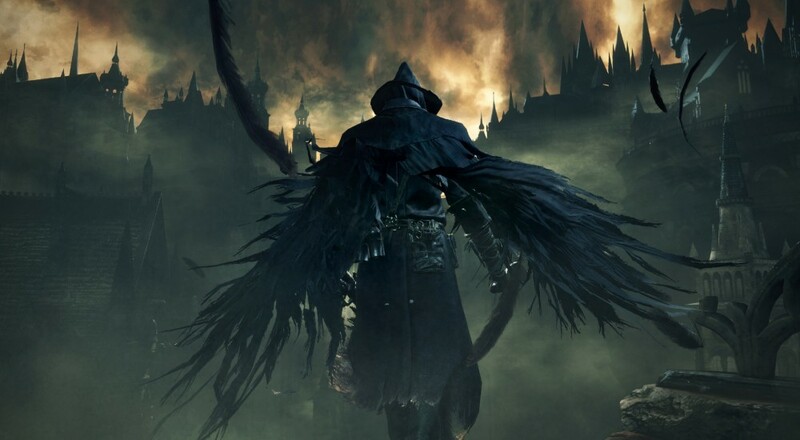 A scant few weeks from now, Bloodborne will begin to creep into our lives. It will happen slowly at first; everyday objects will gradually morph into geometries reminiscent of Victorian England. Desks viewed at certain angles will vaguely take on the shape of torture racks, cubicle walls will play host to shadowy gargoyles who appear more than willing to hop down for a midday treat. Then, the bleakness will consume us. Hours will be spent lying awake at night, praying for a few moments of sleep and reprieve from our waking nightmare. Come March 24th, Bloodborne and the creatures who inhabit it will eventually become all we know. Or maybe we'll just create wacky avatars and indulge in some four player co-op monster slaying. Bloodborne is fast on the horizon, and its arrival has been marked with traditional "Console Exclusive" bugling of cinematic trailers, interviews, and snippets of gameplay footage. By now, we're probably much more well versed with the gameplay and setting than any previous Souls entry (OK, maybe Bloodborne isn't quite the same, but let's be honest with each other, it ain't what you'd call "divergent"). That said, no amount of pre-release coverage could hope to cover the range of lore and secrets living within a From Software game. We'll likely need any help we can get when it comes to acquainting our thumbs to a whole new form of Action/RPG/Torture Chamber. Co-op enthusiasts should be especially excited for this latest PS4 exclusive, as it is said to provide players with a much easier way of connecting to each other than the nearly arcane procedures of its predecessors. You can bet there'll be plenty of coverage on our end when the game comes out in about a month, so be sure to stay tuned for info on the latest in co-op cobblestone-laden brutality. Page created in 0.4573 seconds.